I have been salivating over the recipes in “Well Fed: Paleo Recipes for People Who Love to Eat” since I got it two weeks ago. The recipes are created by Melissa Joulwan who writes a blog called The Clothes Make the Girl. While it is true that I am a food nerd and I do read cookbooks cover-to-cover, this book has blown me away with sumptuous recipes, practical advice, and seemingly endless lists of variations for her already novel (to my palette) creations. The book is broken down differently than a tradition cookbooks with sections on the paleo kitchen, weekly cook-up, sauces and seasonings, protein, veggies and salads, and finally fruits. While it is de regueur to include a section on the paleo concept, devices you need for the kitchen, and meal organization, Joulwan takes this one step further by includes loads of practical advice on how to prepare healthy food while minimizing your time in the kitchen. “Well Fed” is worth the money for this section alone. The recipes themselves are easy to follow, well developed directions that do not leave you questions your own kitchen prowess. She includes information on variations, food pairings, and her own notes. 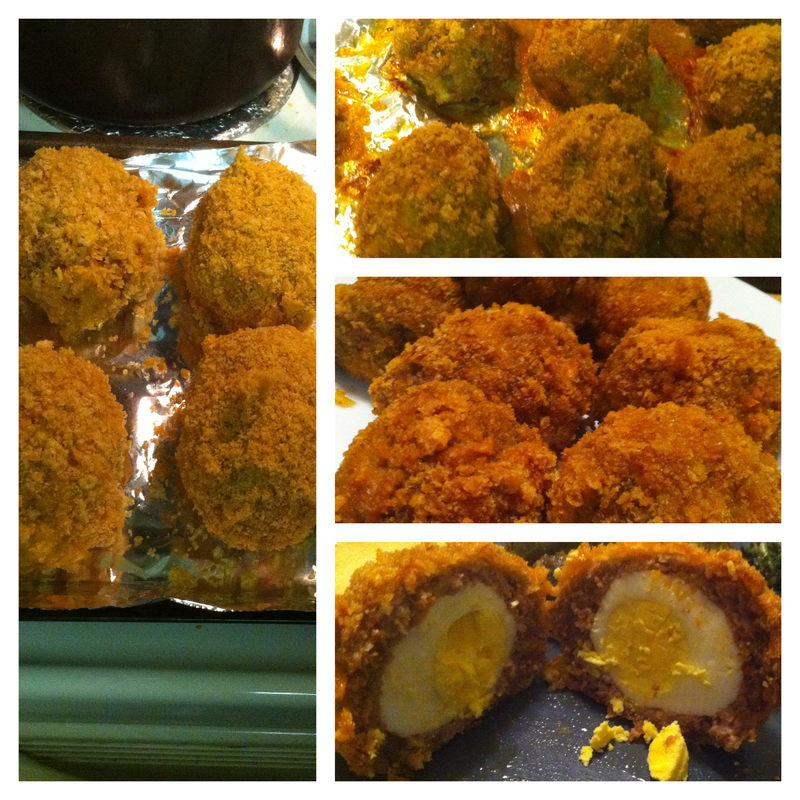 One of the recipes I had been slobbering over are scotch eggs. While I was aware of the existence of scotch eggs I had never tried one much less thought of integrating it into my low-carb diet. 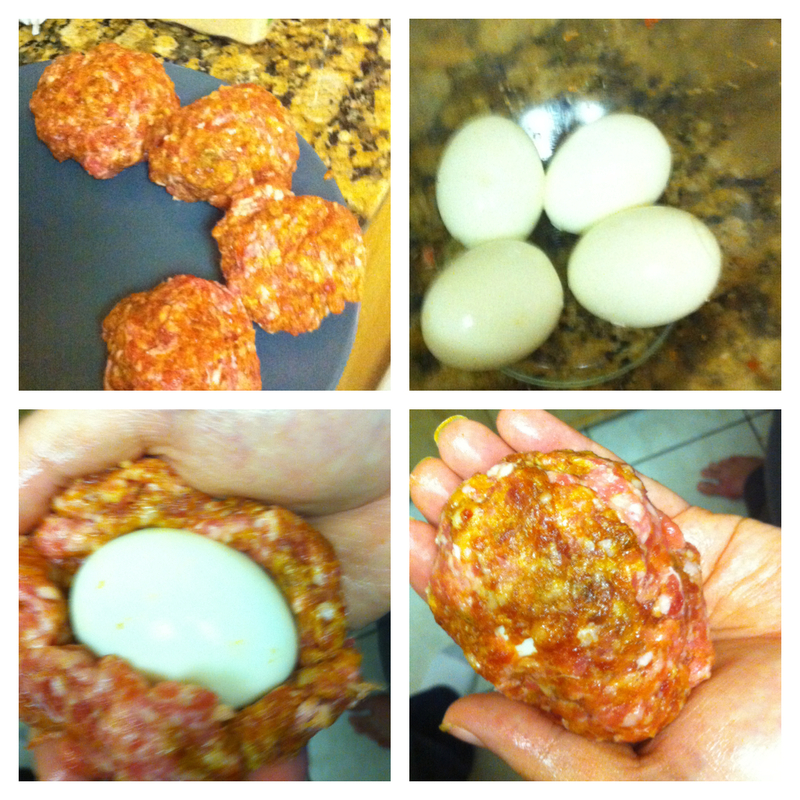 The process to makes this eggs is easy. Most of the recipe can be made ahead and then put into the oven to finish for dinner, which I love. Did I mention they were delicious and my family devoured them? Crispy goodness. The secret is pork rinds.